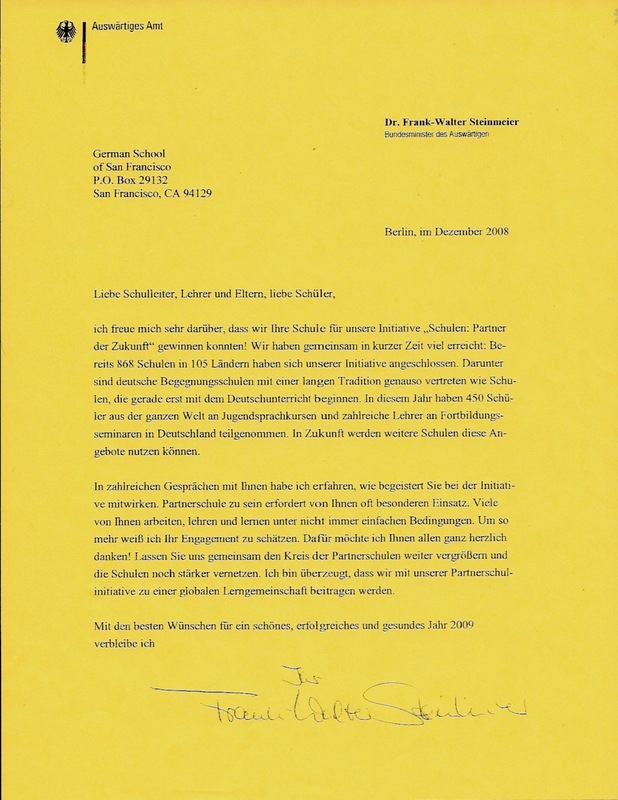 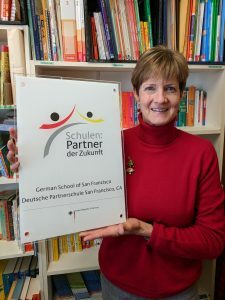 The German Saturday School of San Francisco is endorsed by German Government Office for German Schools Abroad (Bundesverwaltungsamt, Zentralstelle für das Auslandsschulwesen in Köln, BVA/ZfA). 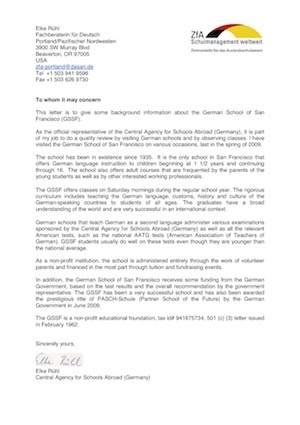 The agency visits the school regularly and provides training. The German School of San Francisco has also been awarded the Friendship Award by the Federal Republic of Germany to honor our efforts in bringing the American and German people together. 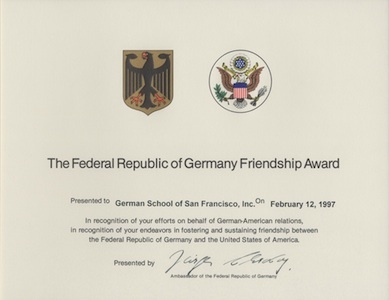 This is one of the highest recognitions awarded to a person or institution by the German Government. 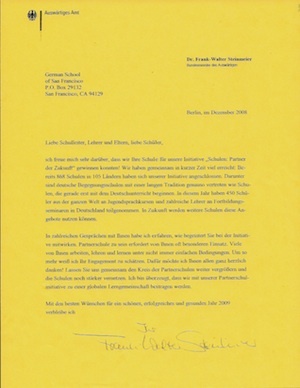 In June 2009 we were also awarded the prestigious title of PASCH-Schule.